Morning peeps I am really excited to kick off the day with pretty colorful post! It is getting summery in Germany again and I can afford wearing crop tops 😉 It’s way too hot right now to wear anything else! I have been loving pastels and florals lately and tended to wear them quite often. But I am really into prints and why not to opt for something ironic and colorful?! As for my boyfriend jeans – I’ve been trying to buy things lately that are pretty timeless and will work well for a long period as well as right now, and this CROSS JEANS model fit this criterion perfectly! My today’s choice is hand crafted low top Pancho’s sneakers in high quality made from genuine Aguayo fabric that’s woven from llama wool. Those vibrant & crazy colors come from natural dyes so they’ve got more soul than a sock! I love how these photos turned out, especially the first one. Hope you enjoy them as well! Hola Skynny!! Impresionante tu e impresionante tu blog!!! que maravilla me ha encantado!!!! Creo que después de investigar tu blog ya eres una de mis bloggers favoritas!!!! Y gracias por comentar en mi blog!! por supuesto te sigo y te espero en el mio si te apetece! eres maravillosa!!! 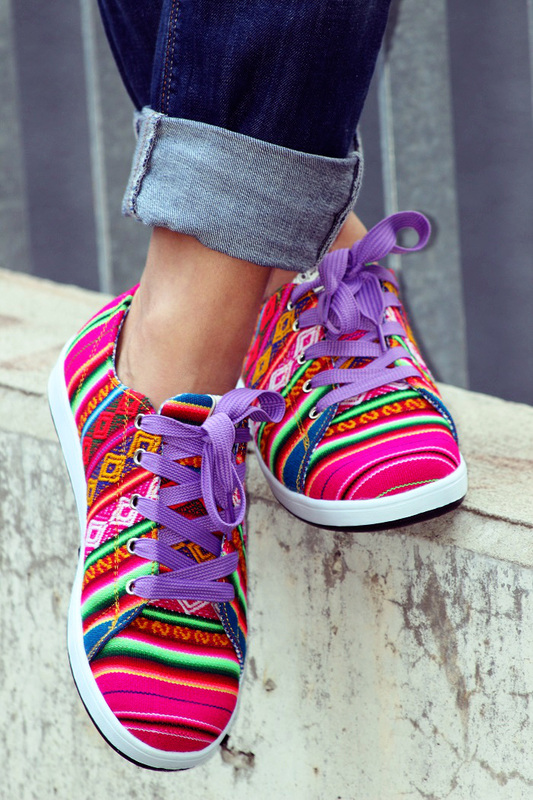 Oh I LOVE those sneakers!! They look great with the boyfriend jeans too! I am going to check them out for sure. 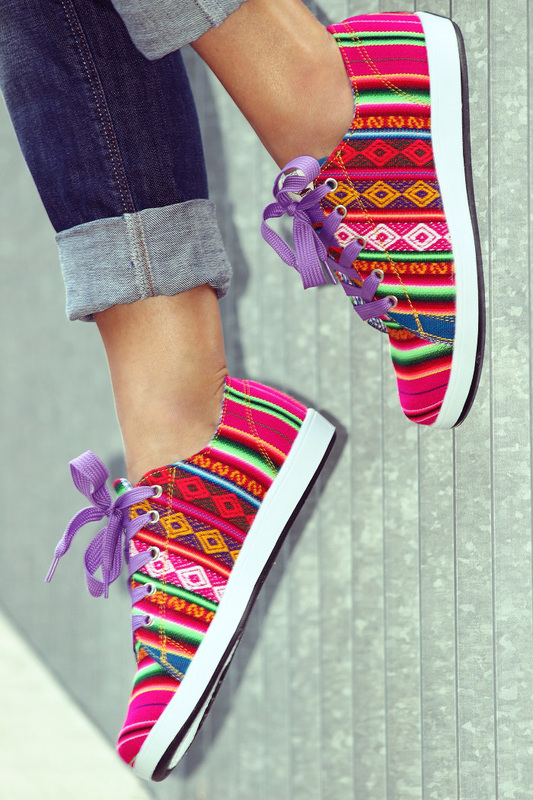 Amazing shoes. Keep in touch. Very nice pictures! I love the bright colors. You look fantastic and summery! Your croptop is so amazing! Woaaahh you’re very beautiful in this outfitt!! Super cool and chic look. I love everything on you.